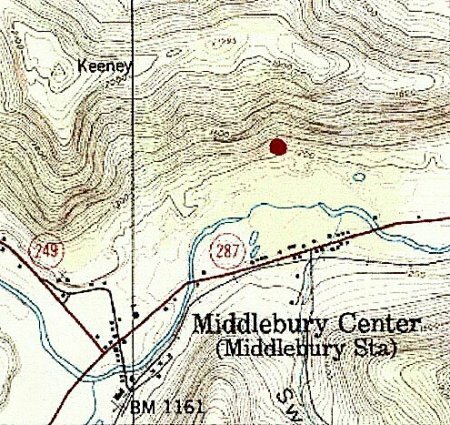 These two very old burial grounds are located in a difficult to access back area off Route 287 in Middlebury on PRIVATE land. This area was once nearer a road than it is now. The relocation of the roads isolated these small burial grounds. One can drive part way on a farm path and then walk a mile or so to the grounds. The smaller of the two contains maybe eight to ten graves all marked ONLY with uninscribed field stones. No identification is possible. 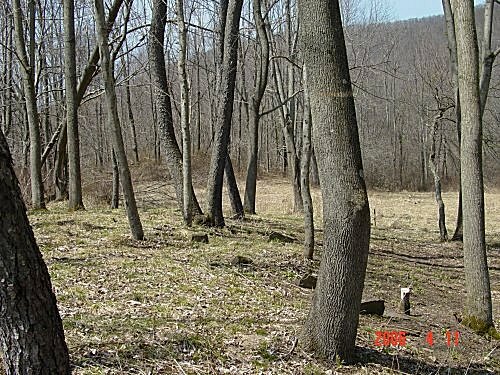 The second burial ground is in a wooded area maybe 1500 feet from it. 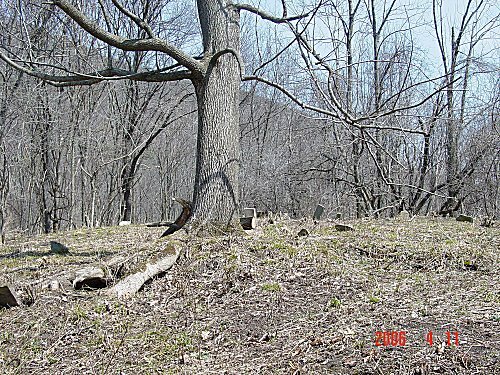 It has recently (April 2006) been cleared of the multiflora rose and grapevine that had choked it. It has possibly 50 to 70 burials but only a dozen are inscribed tombstones. 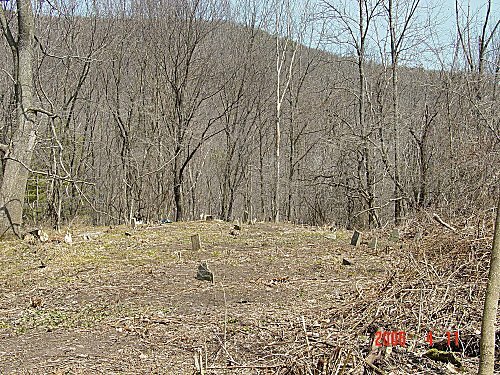 Many graves marked by both headstone and footstone ( field stones brought up from the creek below) are very short and indicate a large number of children. Lola WETHERBEE Franke recorded the larger cemetery in ca 1972, but only noted four tombstones and did not mention the smaller cemetery. 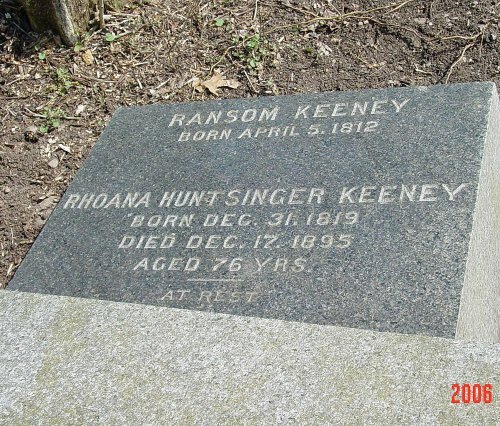 Her list was published in Tioga County Cemetery Inscriptions, Vol. 5, p. 14. The remainder are uninscribed field stone markers only. 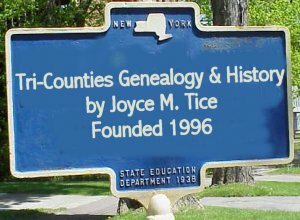 The oldest stone that could be read was about 1824 indicating our earliest pioneer population. Goodwin Emery C. Jan.14.1852 21y7m20d s/o Benjamin & Sally J.
Briggs Rhoda Aug.25.1820 Aug.13.1874 Side 2 - w/o E. H.
Was poking around on your site and found that you and Linda Reese visited the "Briggs Cemetery" in April 2006. My brother (Larry) and I finally located the cemetery in 2000/2001 and visited it. It had not been cleared of brush at that time. Attached is a photo of Ebenezer's marker. Ebenezer was a brother of my ggrandfather (Walter). Also attached is a map showing location. I talked to an old resident nearby (since died) and he told me a story that he had heard in his early days. 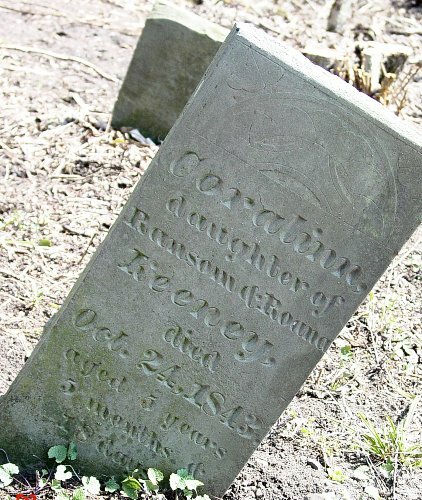 A nearby house close to the railroad burned in the early 1900s and when investigating the remains, the foundation was laid up with stones taken from the nearby Briggs Cemetery ????? 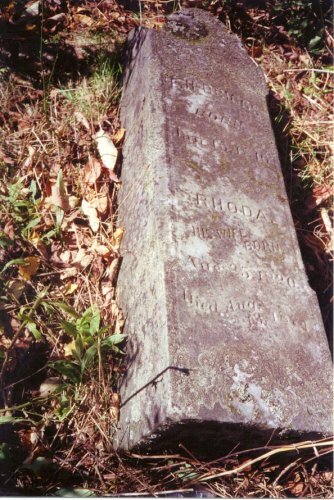 This is the grave marker for Ebenezer H. Briggs (son of (14) Oliver Briggs and Lydia Hoag) and his wife (Rhoda Smith). did not get put on the stone.